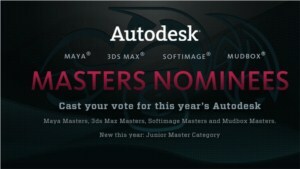 Autodesk Masters: cast your vote! We are proud to announce that Laurent M. Abecassis, Di-O-Matic president, is nominated as a Autodesk 3ds max Master. You can review is bio here on the AREA.